The Academic Ensemble of THE RED ARMY CHOIR © will celebrate the 90th anniversary by its first tour in 2019, its performance has never been so modern! The most famous choir on the planet returns finally to France to commemorate its 90th anniversary (founded by 12 artists, it begins to perform abroad in 1929!). 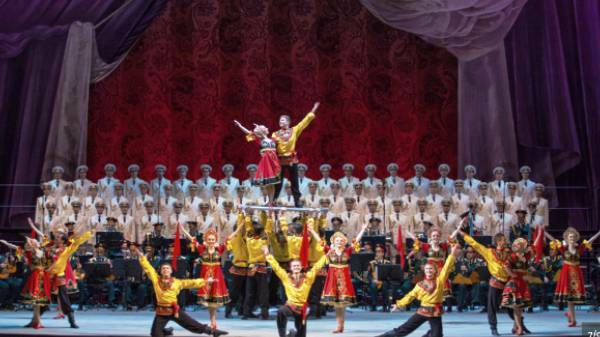 The most famous Academic Ensemble of Songs and Dance of the Russian Army, the only group formally authorized to perform under this name, has visited more than one hundred countries since its creation, arrives in France for a series of performances with traditional songs and military music of the WWII times! This men choir touches the soul of each spectator. The high technicality of this choir, still the most famous in the world, and the music of their incomparable orchestra, make their shows unforgettable.